Letter from a forgotten land. Hope you are doing well. How is that back pain of yours? I still suspect it’s Baater byatha (Arthritis). How is Girija Babu doing? Is his coughing bout under control nowadays. I asked Chattujey moshayi once about the problem. He advised that you visit the west once during Girija babu’s holidays. I think the pollution of Calcutta is not suiting him anymore. But what to do, after all he is the boro babu now, his responsibilities are greater now. How is Ashalata? Have you started looking for a groom for her? Is Girija Babu planning to send her to college and make a Judge? Bethune school won’t help her learn cooking and sewing. Nobody will marry her if she doesn’t know how to cook. Sometimes I wish you had a son. There is still time. Coax Girija Babu to have one more child atleast. People here laugh when they hear that you have only one daughter. We are all doing well here. Sukhen’s marriage has been almost fixed with that girl from Barishal. I was very much against the match. But who listens to a widow? That too, one who is a burden on the families of her brothers. Tell me something Tara, couldn’t they find one suitable bride for Sukhen in the entire Dhaka zilla. As if boro bou wasn’t enough that another person from Barishal will come to pollute our family. Our ancestors didn’t joke when they said “Aaitey shaal, jaaitey shaal, tar nam Barishal“. This girl is also related to Borobou- some distant cousin. Now they will rein over the entire household together. All this at the cost of my youngest brother. You remember the time when we were just nine and Gogon kaka had taken us to Barishal on that official trip of his. Remember how those crooks at the Goalonder ghat didn’t even let us have our meal properly? My god! I so loved Padmar Ilish. And those bastards shouted that our steamers were leaving. We ran for our lives only to find a it a hoax. How they cheated us. I had cursed them so much. I hated Barishal from that very day. Borobou just proved I was right. You must be thinking that how can a widow of sixteen years still think about fish. I will not lie to you Tara. You are my best friend. I don’t get to see you often nowadays. But I share everything with you. You know I love the smell of fish. everyday in the morning I steal a walk upto the aamish henshel (non veg kitchen) just to smell the fish. It’s a secret I will die with. If any one here gets to know about it, they will tag me as woman of vices, but I can’t help it. It was only you whom I could trust with this secret of mine. When do you again plan to visit Bharakar. I know you don’t like this shabby village anymore. But do come. Bring Asha along. I often think of making the aamer achar (mango pickle) that she so liked last time. Try to come during pujo. I am sending a bottle of a special medicated oil which I got from Chattujey moshayi for you. Hope it reaches you in the present state. Reply to this post soon. P.S. This post has personal anecdotes, anecdotes of forgotten times, memories of afternoon conversation with my Amma strewn all over. The factual background is entirely fictional but the conversations? Who knows, that might have happened some seventy five years back in a dimly lit Bharakar household. P.P.S Bharkar is my ancestral village. It’s located in Dhaka, Bikrampur region. My house was located near Tongibari thana. Have never been there. But surely intend to visit it sometime. I have been to the Bharkar Sammilani Durga Pujo manytimes as a child. Don’t know if it happens till now. If any one of my readers are from my village or knows anybody or has visited that pujo, kindly leave a note. It’s a way of remembering Amma, whom I was suddenly thinking about. My maternal grandma is from Dhaka Vikrampur … and my maternal Grandpa is from chattyagram … his story is quite fascinating and romantic too… may be I will also write someday about him … but only one thing I can say – these conversations may hear a bit like modern bengali filmy monologue, ready for play,but the author has maintained the authencity and flair of a “bangal mohila adda” on a lazy afternoon. Hats off. @Ankur, Baba ankur, banglay comment ta na kore parlam na- chatt(y)agram ta ki abar :P. lol! eta ki sei k(E)babs khabo hoye gelo na :P…kyalash na please! @bhai, eta banglay khub shundor shonato..but ingreji te lekha onyo karon ey. Many people have told me that they don't understand half of the stuff on my blog because it's in bengali. jomati chinta dhara to.. borishal somporke ja bola hoechhe, amar purno samorthon :P..
My ancestral place was in Bajitpur, Mymensingh (my latest post 'Goodbye' is on that) but I never visited it. I wish to, one day! 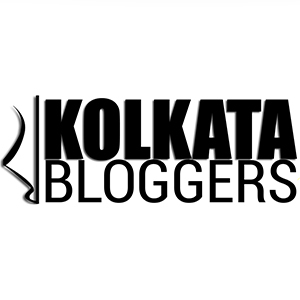 Loved the post; reminded me of pure Bengali novels of the yesteryears on which I grew up. amar anek shubheccha roilo aro erom anek sundor sundor lekhar jonyo..